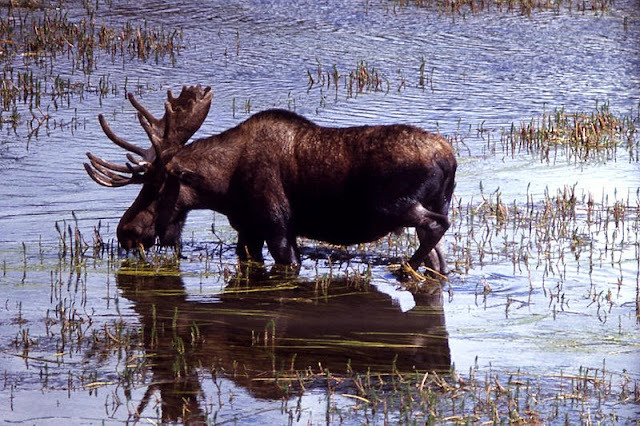 The moose is sometimes called the King of the Forest, I assume partly because of its size – it is the largest living member of the deer family and the largest animal in the Finnish wildlife. The title is probably also partly due to the magnificent shovel-like antlers that crown the male moose's head. Another claimant to the title is the brown bear, Finland’s national animal. If a bear and a moose get together to argue the case, the bear will win. But anyway, I have no bear meat in my freezer so back to the moose. Sorry for going all metric here, but most moose live in metric countries. A male moose can grow up to over 2 meters height, which is basketball player tall. And they can weigh up to 700 kg – that's probably about 7 basketball players combined. Or a (very) small car – like Renault Twingo. For an animal that’s a lot of mass. You don’t want to bump into one on the road even if you are travelling in something bigger than a Twingo. 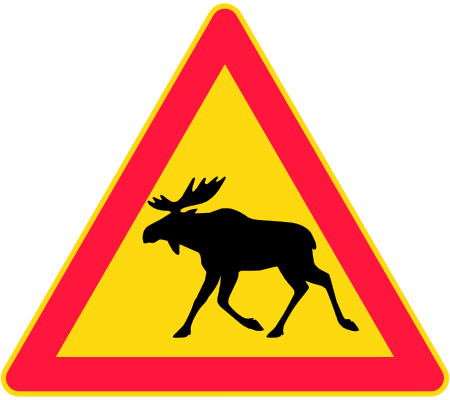 Moose is the most important game animal in Finland. Hunting is very regulated similar to almost every other aspect of life in Finland. We are after all one of the world’s most rule-abiding and regulation-loving nations. I don’t know the ins and outs of moose shooting regulations, but there are shooting tests, all guns must be licensed, the club needs to apply for licenses to shoot the moose. They can only shoot the allowed number, which is every year calculated by the government officials to keep the roads safe, protect the forests from damage of overgrown moose population and to protect the moose population itself from malnutrition, infections and other consequences of the population getting unsustainably large. There’s about 350kg edible meat in a grown male moose, which is about the amount that ends up in my parents 3 massive freezers every autumn. They know a hunter who shoots a moose for them every year. They share a lot of it with family over the winter months, otherwise it would be quite a lot for two old people to get through. Particularly as they also buy and freeze a whole organic sheep once a year. Vegetarians they are not. Every time I go home I come back with frozen meat in my suitcase, I'm sure it's not completely legal and I sometimes wonder if the customs dogs detect a meaty whiff about my suitcase. Moose is not super gamy, it’s quite like particularly good quality, lean, beef. It is actually so lean that some people add bacon or pork in the recipes – we don’t eat pork, so I don’t do that. I still had some ground moose in the freezer and decided to do a creamy stroganoff style sauce with mushrooms to make space for some more as I’m going home in a week’s time. Melt butter in a dutch oven or deep pan, fry mushroom with a pinch of salt and black pepper in the butter until done, about 7 minutes. If you can get hold of fresh chanterelles or wild mushroom, they would go wonderfully with this. If not, then chestnut mushrooms will do just fine! Once done set mushrooms aside – it is important to add the mushrooms back to the dish only when the stroganoff is almost done. Now in the same pan heat some oil. Add the ground meat and stir for a while, add the sliced onions (or you can chop, but for some reason I like a thin slice in this). Keep stirring for a few more minutes on medium heat. Add two cloves of garlic. When meat is browned through add the Scandinavian forest spice mix or your dried herbs. Add the stock and leave to simmer for 45 minutes on low heat. Crumble in the goat cheese and add the cream and simmer for a couple of minutes. If too thick add a spash of water - if too thin let simmer uncovered for a while. Add the mushrooms and the truffle oil (I used black truffle oil), check seasoning, make sure it’s got loads of black pepper. 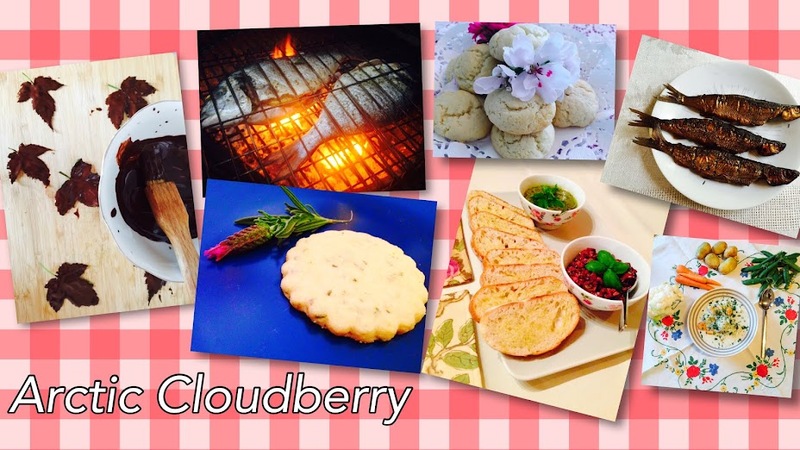 Serve with rice, pasta or a potato side dish. Wild or brown rice would go nicely or a wholemeal pasta. These strong forest flavours demand and strong carb to go with, I think. This time I went with wholemeal spaghetti. I do love my taters, but we just had some last night so decided to give hubby a rest.